BERRYVILLE, VA.- The Clarke County Eagles ended their season today in the bitter cold at Wilbur M. Feltner stadium, falling to the Buffalo Gap Bison 32-21. Both teams played a very physical game and the Bison pulled away in the fourth quarter to advance to the second round. They will play East Rockingham. The Eagles got two scores from Kyle "Mr. Excitement" Baylor, one on a rush another on the receiving end of a 52 yard touchdown pass from Colby Childs. Peyton Rutherford added the Eagles other score with a rushing touchdown. Childs, Rutherford and Head Coach Chris Parker speak with Clarke County Sports after the game. The post game show can be seen below. Check back later for more game coverage and photography from Doug Aylestock. 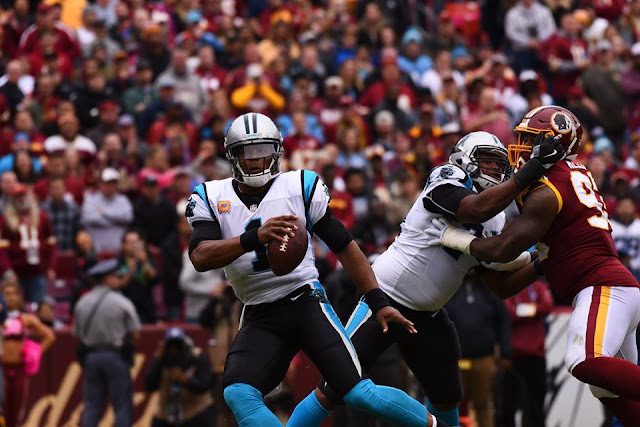 LANDOVER, Md.- The Washington Redskins held off a determined Carolina Panther team Sunday at FedEx Field capturing their third win of the season with a 27-23 victory. The win snapped a 6 game losing streak to the Panthers, the Redskins last defeated Carolina on November 28, 2006 at FedEx Field 17-13. 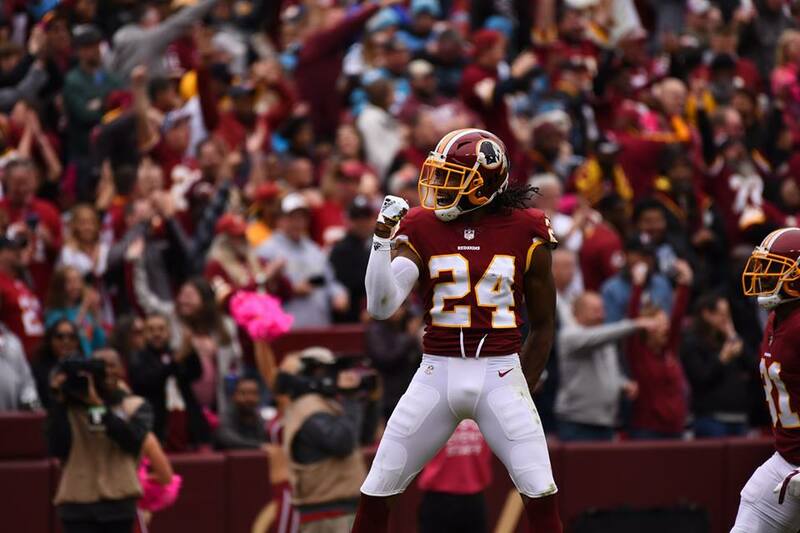 The Redskins hold an 8-6 series lead. "You're going to face adversity and we have to meet it. 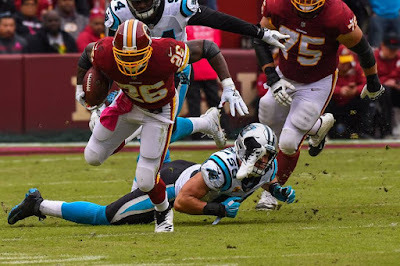 It was great to see our guys bounce back after a tough performance on Monday night on a short week against a very talented and very well coached Carolina Panther football team, so I'm happy," Redskins coach Jay Gruden said. "You know, [we're] 3-2 right now and we faced adversity throughout the game but everybody kept fighting and stayed together, stayed positive and finished the game. " Adrian Peterson had a big day rushing for 97 yards on 17 carries, playing through pain that was evident, many of his team mates commented on how dedicated, and what a professional Peterson was. 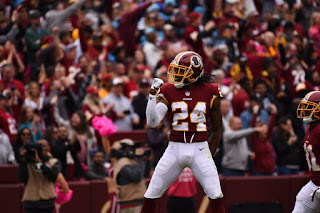 Josh Norman grabbed his first interception of the year, after coming under massive criticism after Monday's loss to New Orleans. “It’s crazy. It’s fitting that, you know, that we break that little streak against them, the team that I was with. I guess we’ve got a flare for dramatics somehow." Norman said. The Redskins will now start preparing for their biggest rival the Dallas Cowboys. 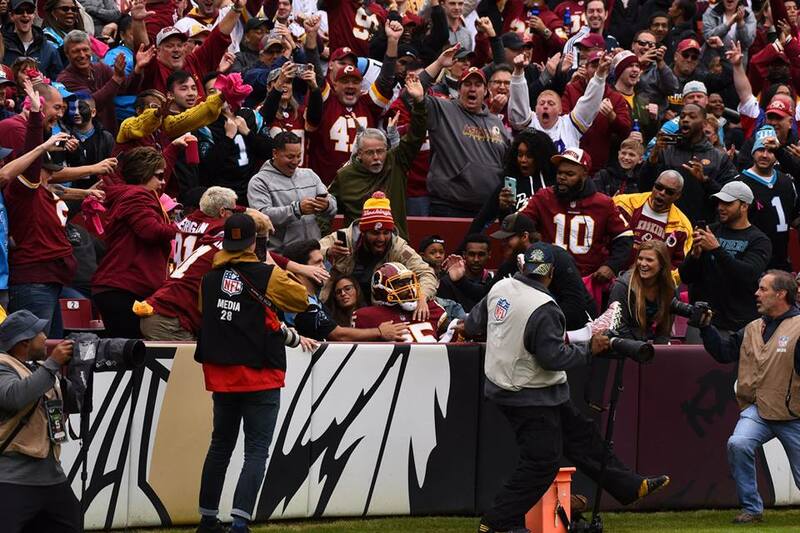 The Boyz come in to FedEx Field next week and are set for a 4:25 Kick off on the Fox National Game of the Week. BERRYVILLE, Va.- The Clarke County Eagles held off a strong comeback effort by the Strasburg Rams last night as the Eagles won 26-23. Peyton Rutherford rushed for 3 touchdowns, and Colby Childs hit Danny Lyman for a touchdown pass. Childs was 13 of 15 for 93 yards and a TD, also rushed 8 times for 21 yards. The Eagles(4-3, 1-1) led 14-7 at the half, with the Rams (5-2, 1-1) taking an early second half lead after scoring and converting the two point conversion to go ahead 15-14. The Eagles then scored twice in the fourth quarter to take an 11 point 26-15 lead. The Rams came back with a long touchdown drive, aided by two 15 yard penalties and converted the two point play to draw within 3 at 26-23. After using their time outs and getting the ball deep in their own territory with just over two minutes to go, the Eagles were able to thwart the Rams on their final drive and were able to take a knee in the victory formation to capture the win. The Eagles will finish out their 2018 home regular season schedule next week when they host the Madison County Mountaineers. Kick off 7:30PM on senior night. Former Eagle Basketball and Football great Chandler Rhoads, now the head coach at Madison County will be honored with induction into the Clarke County High School Athletic Hall of Fame. The Inductions were last night, but Rhoads was unable to attend due to his coaching obligations. The following former Eagle athletes were inducted last night. (more coverage coming). Charles Bailey, Daniel Callan, Jill Hobbs, Danielle Moyer and Joey Racer.